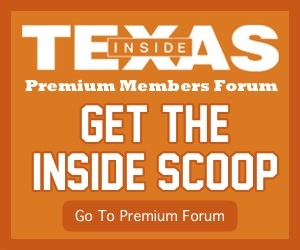 The 2018 postseason is going to prove very instructive to Tom Herman and his staff about where exactly this Texas program is and how close they are to realizing their goals of winning championships. First they drew the full force and focus of the Oklahoma Sooners, who have now won four-straight Big 12 titles and taught Texas something about the difference between the regular season and the postseason. Next they’ll draw Georgia, who is either the best and most physical team in the country or a very close facsimile depending on who you ask. 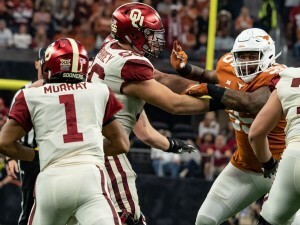 We’ll get to Georgia in future posts, but for now let’s focus on what Texas can and should takeaway from its Big 12 title game defeat against the Oklahoma Sooners. Texas lured the full blown Raid bro from Lincoln Riley’s Sooners and then proceeded to allow that team to run clock and win the game with a six minute scoring drive. They also discovered the difference between regular season defense and playoff defense from Ruffin McNeil’s unit. It’s one thing to play a team in a highly intense and diligently prepared rivalry game in October and another to face that team in a similarly intense championship game at the end of the year when both teams can study how everyone else handled those teams. In many seasons the Red River Shootout is when Texas and Oklahoma discover who they even are that year. In the Big 12 title game each team knew what they were getting from each other and so the preparation was not only intense like the rivalry game but also much more precise.